Sakshi Saini is a Water Resources Specialist in the Water and Climate Change Science Division at the Credit Valley Conservation. 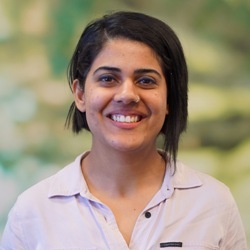 Sakshi joined the Credit Valley Conservation Authority in November 2014 and works on low impact development modeling, municipal natural assets modeling and valuation, and flood risk assessment studies and tools development. Sakshi is also a Flood Duty officer and a Spills Response Coordinator at CVC.